I haven't used this blog for rather a long time and now it is time to move on. I have started a new blog, using WordPress, with the same name as this one. It will focus on evolution and palaeontology (it is meant to be more "professional" but only time will tell). I will not abandon this blog completely, but it will not get much use. Avoid ReptileEvolution.com at all costs! I said I was stopping posting blogs, except for short stories (one of which is coming soon) but this is worth bringing to everyone's attention. If you are interested at all in evolution, particularly reptile evolution, then you need to know this. There are two websites, ReptileEvolution.com and The Pterosaur Heresies, which should be avoided if you want to know about these subjects. I believe everyone should be able to post whatever they want on these topics, but the problem with these websites is that they come up on web searches as the top choices (try just Googling "reptile evolution") yet the views expressed on them are rejected by vertebrate palaeontologists. 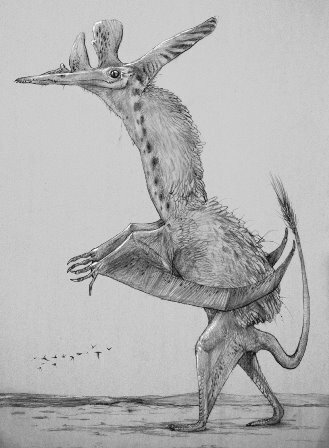 A picture, by Koseman and Conway, based on Peter's interpretations of Pterodactylus. Looks weird, doesn't it? No other pterosaur worker agrees with Peters' ideas. This is not scientific snobbery, it is just to make sure that laymen are aware that these are not useful websites unless you are investigating bizarre fringe ideas. Dave Peters' views (the author of those blogs) should be taken with a fist full of salt. Ideally, I would go into some of the details of why his work should not be trusted, but there are far more qualified people than myself who have been blogging about this (though one of his main techniques effectively involves tracing on photoshop without ever looking at the fossils - judge that as you wish). Peters does not need to be censored, the major problem in my opinion is that his information is all over the internet and can fool laymen. But don't trust me, here are the views of a few vertebrate palaeontologists involved in the field. These are well worth reading and thoroughly explain why Peters' work should only be viewed with a heavy dose of scepticism. Here is Darren Naish of Tetrapod Zoology fame. Brian Switek of Laelaps and Written in Stone fame. Here is a good assessment by palaeoartist Nima from Paleo King. Mark Witton (a pterosaur palaeontologist and palaeoartist) has posted this on Pterosaur.net. And this is an older criticism by Mark on one of Peters' bizarre claims which got some media attention. If you don't see the issue, just Google search a few well known fossil reptiles (I went straight for Longisquama) and see how commonly Peters' site comes up. Critics of evolutionary theory often claim that evolution cannot be falsified and is therefore not scientific. An excellent place to turn with regards to this apparent dilemma is the fossil record, as it is more tangible than many other lines of evidence and is a record of the evolutionary change which has occurred over time. It is also an area where, for me personally, I would expect to be convinced that evolution is false, or at least in trouble, if it really is not true. If such evidence were to arise, it would not instantly overturn evolutionary theory. It would need to be scrutinised first, even replicated if possible, to show that there is no other explanation for it and that we have interpreted it correctly. Palaeontologists would first have to determine that the fossil had been correctly identified, that it was not a hoax, and that the interpretation of the fossil-bearing strata is correct. The evidence would not automatically tell us that evolution is wrong, but that there is a serious error with the theory as we currently understand it. One of the predictions of common descent is a nested hierarchy pattern of relatedness, with groups within groups. In evolutionary theory, groups of organisms become more derived over time and build upon the traits which their ancestors possessed. With this in mind, key traits should appear in what will appear to be an ordered fashion. For example, for humans to evolve from "lesser" animals, many features need to have already evolved, such as bilateral symmetry, a well developed head, vertebrae, the tetrapod limb set-up, mammary glands, hair, and the list goes on. Apparently growled by the influential evolutionary biologist J.B.S. Haldane as a response to what would make him doubt evolution, "rabbits in the Precambrian" is a phrase which is popular in discussions about the falsifiability of the theory. It is also exactly what I wish to talk about here. In the predictions I mentioned above, finding evidence which goes contrary to them would cause problems for evolution, such as finding the remains of Homo sapiens before any of those traits had evolved. We would not expect to find rabbits in the Precambrian, because rabbits are highly derived multicellular eukaryotes, more specifically animals, tetrapods, mammals and so on. Finding a multicellular organism or even more specifically an animal in the Precambrian would not be a problem (unless it was found before the evolution of eukaryotes) but finding a tetrapod or anything "higher" certainly would. Finding a tetrapod in the Cambrian or Ordovician would also cause huge problems for the theory. We could list all sorts of possible examples, which can make for quite fun thought experiments. Fossils found out of place are termed anachronistic fossils, but simply being in the wrong place is not quite enough. These fossils need to be a specific sort of out of place fossil, such as those mentioned above. Fossils which are "out of place" could be put in a few categories, many of which would not falsify evolution. Fossils which are later than expected would not falsify evolution. The fossil record documents evolution and extinction, but it does so imperfectly. Occasionally, an organism which was thought to be extinct appears later on, providing evidence that they did not go extinct at that time. 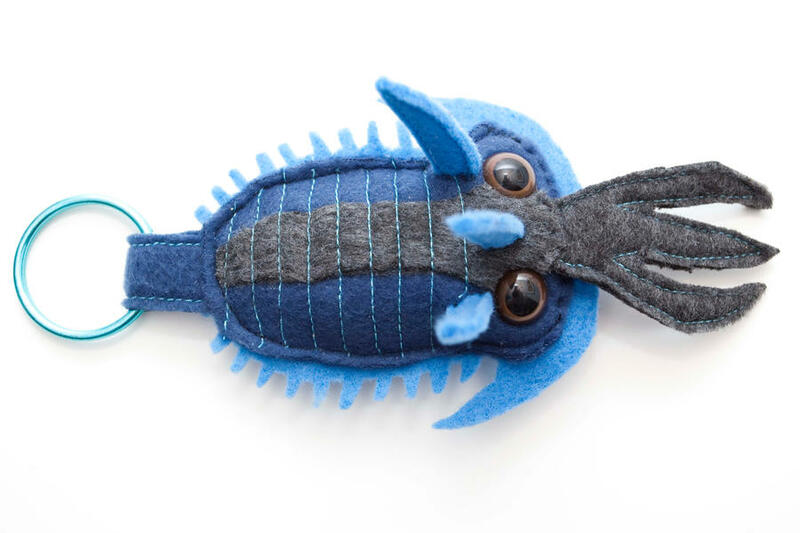 For example, trilobites are exclusively Palaeozoic, so finding one in the Mesozoic would be a huge surprise, but it would not falsify evolution, as it would simply mean that they survived extinction for longer than previously thought. Claiming an organism is extinct is effectively based on an absence of fossils past the point when they were thought to go extinct and is the sort of hypothesis which cannot be empirically confirmed, but gains weight through not finding what would be necessary to falsify it. Reworked fossils could fit with fossils which are later than expected, though there are different reasons for them. Reworked fossils were originally contained in older rocks, but have been weathered out and become part of younger rocks. This is easy to imagine occurring if you have ever been to a place where fossils are easily collected, as those loose fossils are often quite tough and could easily become part of a new sediment. Palaeontologists have ways of identifying reworked fossils most of the time. So again, these sorts of fossils would not falsify evolution. Range extending fossils will be unlikely to falsify evolution. By this I mean fossils which extend a fossil group further back in time (or forward, but obviously that is irrelevant here). Now this is the more complicated one, as technically those fossils which can falsify evolution would fit into this category. The fossil record shows the first possible occurrences of the traits we can identify. If you find a confirmed vertebrate in older strata than anyone else has found them, then you have the earliest known occurrence of that particular trait and have extended the range, which obviously would not falsify evolution and could itself be overturned by new data. This can happen simply because the fossil record is imperfect and we simply have many more rocks to look at. This can especially be the case with trace fossils. During the lifetime of an organism, it travels around making numerous traces but only has one body (even organisms which shed their coverings only do so a small amount of time compared to potential trails they leave). Sometimes the only record of a population is the traces they leave behind and not the bodies. We can, therefore, expect for there to be many examples of trace fossils appearing before potential causative organisms (but not much earlier). This would also happen if the environment of deposition was not conducive to preserving body fossils, but did preserve trace fossils. So fossils which extend the range earlier in time, in order to falsify evolution, must come before traits which they are dependent on. A tetrapod being found slightly earlier than expected is simply a surprise, but a tetrapod before the evolution of jaws, or vertebrae, for example, would falsify evolution. Fossils in the wrong environment would not falsify evolution. Fossils are occasionally found in the wrong place in the sense that they are in the wrong environment. Ankylosaurs, for example, are terrestrial animals (insofar as we are aware) and yet are often found in marine strata. Considering animals can easily float out to sea, it should be obvious why this is not a problem for evolution. We even see out of place organisms ourselves from time to time, like a beached whale, as the beach is not its habitat, it requires deeper waters. Fossils in the wrong environment are not anachronistic, even if they are sometimes puzzling. Can this challenge be met? If evolution is not true, then anachronistic fossils really should be the rule, not the exception. This is especially true if a global flood deposited the majority of fossils (or even just a smaller portion of them). We should not find an order consistent with evolutionary theory in such a case. Naturally, as has already been mentioned, the finding of such a fossil would not instantly overturn evolution, but it would spread ripples of doubt through the scientific community. Proponents of creationism and ID often claim that this potential falsification of evolution is dishonest and that evolutionary biologists will cobble together some sort of excuse or will ignore the data completely. Nonetheless, they provide examples from time to time which they claim fits the bill. Rabbits fit the category of "complex non-marine multicellular eukaryotes" so some anti-evolutionists have jumped on a claim of such things in the Precambrian. See here for example. But the problem with their claim is that these fossils are not as derived as would be necessary; they are exceptionally primitive compared to even something like a jawless fish. The relatively recent find of tetrapod trackways from around 18 million years earlier than the first tetrapod fossils is occasionally cited. For reasons already stated, we should be sceptical of this as a claimed anachronism. They were also in a different environment (one not conducive to fossilisation) to early tetrapod body fossils, which changes views on how tetrapods might have evolved. This trackway has palaeontologists asking some important questions, but it is not the sort to cast doubt on evolution. Find those trackways in the Silurian or earlier and you might have a strong case. Other examples tend to fit into the categories I listed above which just will not do, or tend to include things such as human footprints alongside dinosaur footprints (many of which have been hoaxes or are not actually human prints). Just type something like "out of place fossils" into Google and lots of creationist claims should pop up. Follow them through though, and I am willing to bet that none are the sort which would falsify evolution. Of course, evolution is true, and we can use it to predict what sort of fossils we can find in particular strata. There are thousands (if not millions) of people out there collecting fossils and yet they all find what we would expect if evolution were true. I find that during my own fieldwork as well; I've even joked with friends about finding an anachronistic fossil in the area I did my dissertation fieldwork. Just last night, in fact, when someone mentioned being asked if they had found any vertebrate material in their own samples, I quipped that I wanted to find some in mine, as I am studying early Cambrian rocks, which will not contain vertebrate remains. If I did find something along those lines I certainly would not suppress it, but would be able to ride the wave of publicity. Sadly, though, I will find no such thing. Want to learn from a kid? 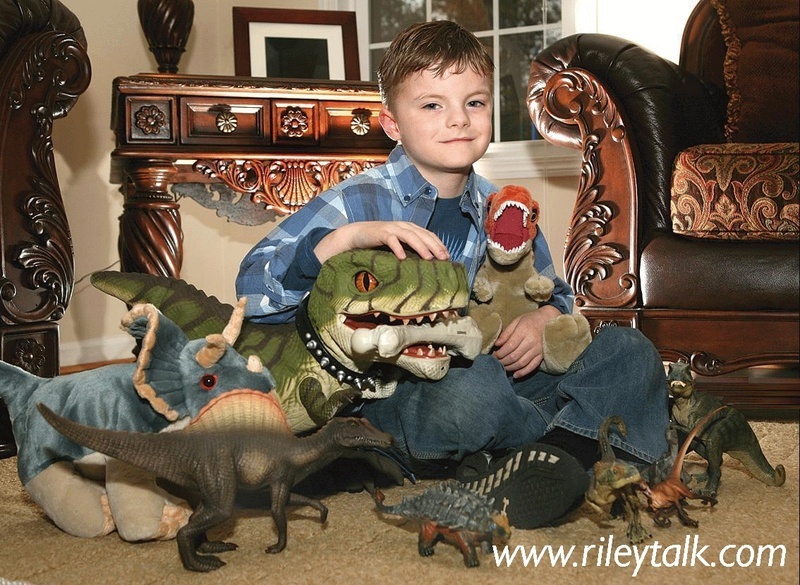 Meet "Riley the Paleontologist" an eight year old kid who has apparently done a few major media appearances in the US, along with having his own series of videos teaching about palaeontology. I've not checked his videos out yet, so I have no idea if they are any good, just thought I would share. I am resisting temptation to write detailed posts about any of these, just go out and read about it for yourself, as some fascinating stuff has been discovered recently. 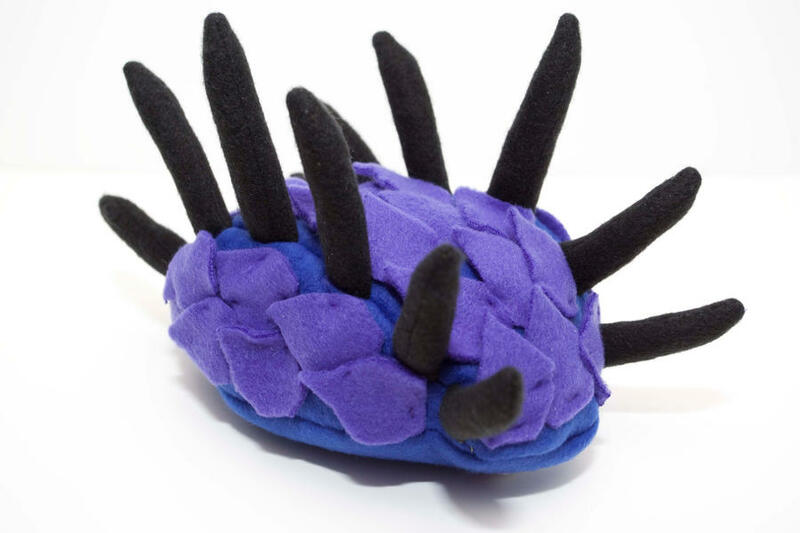 The Burgess Shale "Tulip creature"
A new species, Siphusauctum gregarium, has been discovered in abundance in the famous Burgess Shale Lagerstatte. They have a unique filter feeding system and superficially resemble crinoids (though I can imagine a few other comparisons being made). Its relationship with other organisms is unknown, just like when the classic Burgess Shale beasties were being discovered. For more, see here or here, though both say exactly the same thing. Another new species, Mesodinium chamaeleon, has been found which is an unusual combination of animal and plant (or so it is being reported). These single celled organisms use cilia to move around as they eat other organisms, making them rather animal-like. 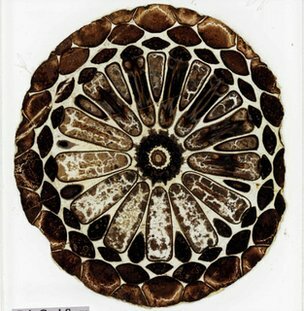 This particular species, however, engulfs types of algae and forms a union with it, where the algae photosynthesises and provides energy, and the host provides protection. Endosymbiosis has been known for a while now, so this is no surprise, but it is pretty cool. See here for more. A group of biologists attempted to recreate the origin of multicellularity, a key step in the evolution of life on Earth, and actually found that it is not too difficult. Using yeast, they managed to demonstrate that they were forming genetically similar clusters, instead of random clusters, and some were even undergoing programmed suicide (apoptosis) to allow offspring to separate. See here for more. The British Geological Survey have found lots of lost specimens in their vaults, including some fro Charles Darwin. Thin sections are thin slices of rock placed on a slide so that they can be viewed under a light microscope. Some of the slides come from samples Darwin collected on his famous Beagle voyage. See here for some more information. Several times per year I receive the journal Palaeontology and there is often a paper which jumps out as worth talking about, yet for some reason I never blog about them. Sadly I have an exam tomorrow so I can only talk very briefly about the articles which jumped out at me today. Ichthyostega, a well known close relative of Ymeria. Since the mid-1980s, the number of named Devonian tetrapod genera has increased from three (Ichthyostega, Acanthostega, Tulerpeton) or four (confirmation of Metaxygnathus), to eleven, with the addition of Elginerpeton, Obruchevichthys, Ventastega, Hynerpeton, Densignathus, Sinostega and Jakubsonia, while an un-named Ichthyostega-like tetrapod has recently been described from Belgium. I don't know about you, but there were some names there I had never come across before. So, far from shoving these things down the throats of the public, it seems most are kept relatively quiet, as finding transitional forms is nothing unusual, so you have to hit on some pretty special ones like Tiktaalik if you want the limelight. Old Tiktaalik pops up on the phylogenetic analyses and we see the sort of thing we would expect from evolution. If you want to see the paper for yourself, go here. Just before Christmas I had to do an essay on a palaeobiological aspect of Dinosauria. 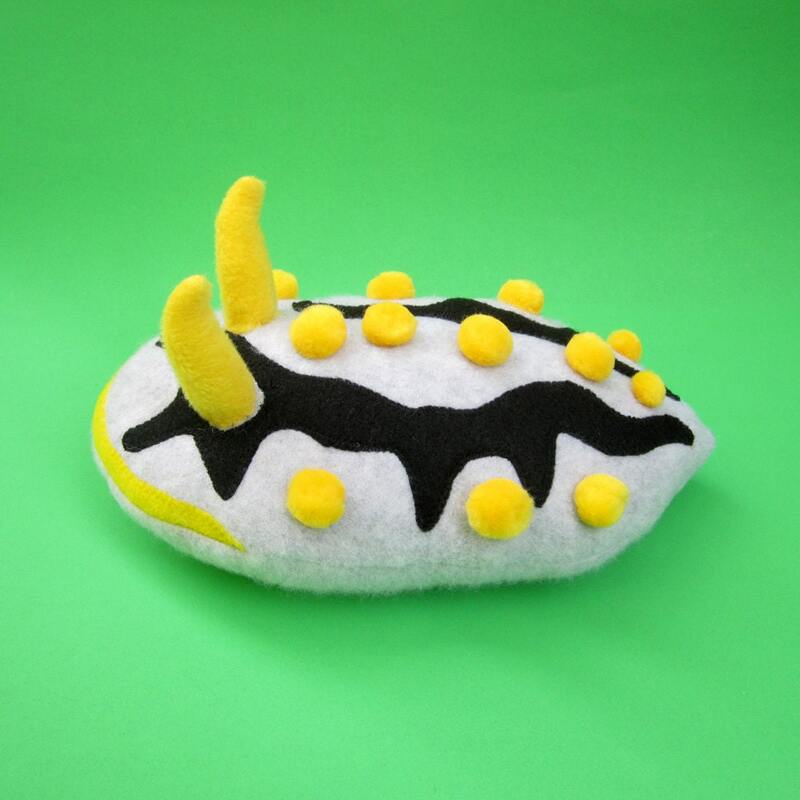 I chose to do the stegosaurs as I rather like them and focussed on a really well researched area of stegosaur palaeobiology: the functions of their osteoderms (Stegosaurus itself is the most well studied in this regard as it is rather atypical). When the marks came back I was a tad surprised; I'd gotten a decent mark (a 2:1) and my image choice seems to have let me down, but the first comment in the feedback described it as brief but well researched. My surprise was because I was actually 60 words or so over the word limit, which was a short 1,500, not enough to go into any real amount of detail. Ah well. Why did I mention this? Well, this issue of Palaeontology has an article titled "Ontogenetic histology of Stegosaurus plates and spikes". I had a feeling that there would be an article which I could have used in one of my essays (my other was on the Borhyaenoidea and certainly could be labelled brief as I ran out of time to write it). Thankfully both essays had a decent amount of references anyway. I do intend to post them both at some point, along with many other essays and articles I have written. If you would like to read the article in Palaeontology, go here. I've just watched this video and thought it would be worthwhile posting here, especially in light of my recent post on geological arguments against a global flood. The video makes some great points which I have raised before with creationists and which need repeating often (though I don't think I ever really got responses). As I study palaeontology, I am often accused by creationists as having a need for accepting evolution and the antiquity of our planet. If I do not swear by these tenets, I will not be employed, or so the argument goes. But this is clear nonsense. For starters, I could join a creationist organisation and write book after book, get employed at a conservative Christian university, and so on. But the big point which they miss is that many palaeontologists work for oil companies (plus oil companies use the data of academic palaeontologists too). Oil companies care about one thing - finding oil and doing it as cheaply as possible. If flood geology worked, they would use it, but it does not. What works is what mainstream geologists are teaching us. When YEC geologists bother to go out into the field and look at the rocks which they make claims about, they find that the data does not support them. This is particularly true for those who became part of the oil industry and this video includes reference to some of those testimonies. You will have to forgive me for this post, it is simply me not wanting to feel like my time was wasted. I was posting on an anti-evolution discussion group and spotted someone making bizarre claims about theism and materialism in one long post, whilst also having another post on the Cambrian explosion. So I had two tabs open; one for discussing with him on the materialism thread, the other with the Cambrian explosion stuff so that I could critique it in more detail. During that time it appears he has blocked me on Facebook, meaning I cannot see the post any more and cannot post my response. Fortunately, the page is still open. So here I will copy his post and below will be my response. Excerpt: "The truth is that (finding) “exceptionally preserved microbes” from the late Precambrian actually deepen Darwin’s dilemma, because they suggest that if there had been ancestors to the Cambrian phyla they would have been preserved." 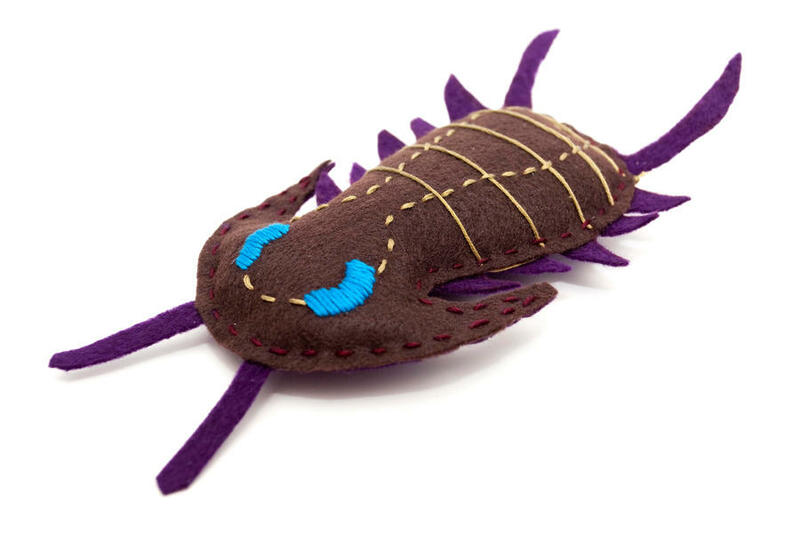 Excerpt: “The Cambrian Explosion is by no means the only “explosion” in the fossil record. One evolutionist concedes that for the origin of fishes, “this is one count in the creationists’ charge that can only evoke in unison from paleontologists a plea of nolo contendere [no contest].” Plant biologists have called the origin of plants an “explosion,” saying, “the … radiation of land (plant) biotas is the terrestrial equivalent of the much-debated Cambrian ‘explosion’ of marine faunas.” Vertebrate paleontologists believe there was a mammal explosion because of the few transitional forms between major mammal groups: “There are all sorts of gaps: absence of gradationally intermediate ‘transitional’ forms between species, but also between larger groups — between, say, families of carnivores, or the orders of mammals.” Another study, “Evolutionary Explosions and the Phylogenetic Fuse,” found a bird (as well as a mammal) “Early Tertiary ‘explosion’” because many bird and mammal groups appear in a short time period lacking immediately recognizable ancestral forms. Finally, others have called the origin of our own genus Homo, “a genetic revolution” where “no australopithecine (ape) species is obviously transitional” leading one commentator to call it, like others called the Cambrian Explosion, a “big bang theory” of human evolution." "In virtually all cases a new taxon appears for the first time in the fossil record with most definitive features already present, and practically no known stem-group forms." George Gaylord Simpson (evolutionist), The Major Features of Evolution, New York, Columbia University Press, 1953 p. 360. "No wonder paleontologists shied away from evolution for so long. It seems never to happen. Assiduous collecting up cliff faces yields zigzags, minor oscillations, and the very occasional slight accumulation of change over millions of years, at a rate too slow to really account for all the prodigious change that has occurred in evolutionary history. When we do see the introduction of evolutionary novelty, it usually shows up with a bang, and often with no firm evidence that the organisms did not evolve elsewhere! Evolution cannot forever be going on someplace else. 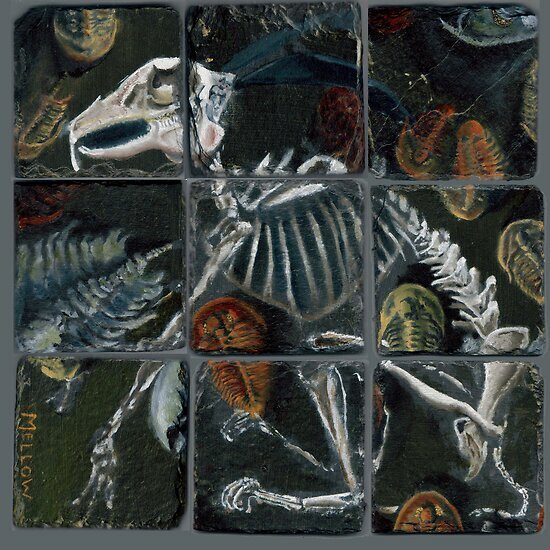 Yet that's how the fossil record has struck many a forlorn paleontologist looking to learn something about evolution." "Enthusiastic paleontologists in several countries have claimed pieces of this missing record, but the claims have all been disputed and in any case do not provide real connections. That brings me to the second most surprising feature of the fossil record...the abruptness of some of the major changes in the history of life." "Why, if species have descended from other species by fine gradations, do we not everywhere see innumerable transitional forms? Why is not all nature in confusion, instead of the species being, as we see them, well defined? But, as by this theory innumerable transitional forms must have existed, why do we not find them embedded in countless numbers in the crust of the earth? But in the intermediate region, having intermediate conditions of life, why do we not now find closely-linking intermediate varieties?" Ah, a favourite topic of mine. If anyone would like a good, accessible look into this topic, I recommend Darwin's Lost World by Martin Brasier. I watched some of the Cambrian animals videos and rather enjoyed them, but where were the Ediacaran videos? I also enjoyed looking at the Burgess Shale animals, but that makes me wonder, why did you present Middle Cambrian organisms without presenting Early Cambrian beasties as well? You will find that fauna of the Early Cambrian differs from that of the Middle (no trilobites until the Atdabanian for starters). A gallery of Tommotian or Nemakit-Daldynian fauna would be informative. Was this omission deliberate or accidental? In addition to that, why did none of the links you presented discuss the Ediacaran forms? Most sources would admittedly do a poor job of presenting them, not demonstrating the faunal changes within the group, but they should at least highlight the presence of terminal Ediacaran biomineralisation (Cloudina and Namacalathus). "Darwin's Dilemma examines some of the most important fossil discoveries ever made and with them, a mystery deeper than Charles Darwin ever imagined. For the fossil record of the Cambrian Explosion does not reveal the gradual development of life forms as Darwin posited in his work, but a period in which compound eyes, articulated limbs, sophisticated sensory organs and skeletal frames burst into existence seemingly out of nowhere." It certainly is a fascinating puzzle, but overstated in this case. These things coming "out of nowhere" is actually referring to millions of years. Conservative calculations for the evolution of an eye actually puts them as able to evolve so quickly that the fossil record would be expected to show it in a single step. Additionally, taphonomic experiments appear to highlight that the features we might want to observe evolving (usually the more complex and often soft ones, such as the eye) decay first. "The truth is that (finding) “exceptionally preserved microbes” from the late Precambrian actually deepen Darwin’s dilemma, because they suggest that if there had been ancestors to the Cambrian phyla they would have been preserved." This claim is rather jejune. Preservation of microbes does not mean everything else will be preserved as well; different processes preserve different organisms and sometimes it is even based on size. Fossilisation is often a biased process, preserving some organisms and not leaving a trace of others, even when they are equally abundant. Additionally, what is there to say that we would even be able to recognise ancestors to Cambrian phyla? We base our classifications on derived characters which the ancestors are unlikely to possess. What we should expect really is confusion and difficulty. Guess what we find. This might be a good point to mention another overlooked piece of evidence - trace fossils. Trace fossils from the end Proterozoic to the Phanerozoic show a steady increase in complexity, highlighting a steady increase in the complexity of organismal behaviour. Burrows in the Ediacaran are very simple, yet steadily become more complex and diverse in the Cambrian. Some can even be used for stratigraphy, for example, Diplocraterion (a U shaped burrow which shows signs of periodical adjustments in depth) appears in the late Tommotian and can be used to tell if a particular rock is of that age. Before Diplocraterion, simpler burrows such as Skolithos and Arenicolites are found (and persist throughout the fossil record). The majority of end Ediacaran and Early Cambrian trace fossils have unknown causative organisms, yet those organisms were certainly around. They weren't preserved, but we know that they were there because their burrows are preserved. Watching the Wells video, it is interesting that they seem to provide predictions which Darwin never made. His theories were compatible with a number of potential predictions with regards to how evolution progresses and Darwin even briefly seemed to suggest that it might be a jerky process. Throw in our modern understanding of speciation and that should be expected. He thankfully did mention Ediacaran forms, but there seems to be some dishonesty here. Half of the issue is that we cannot classify a lot of the organisms we find, they are justifiably termed "problematica". So to turn around and say "there are gaps in the fossil record at the origins of phyla" is rather premature considering we don't know where most fit. I found this an interesting claim, as differentiation of cells and tissues appears in some Ediacaran forms (Spriggina, Charniodiscus, Kimberella for example), the origin of bilateral symmetry is debatable, though potentially found in Kimberella and Parvancorina for example. What we find are blurred lines, which we should expect. "Punctuated Equilibrium and Patterns from the Fossil Record - Casey Luskin Excerpt: “The Cambrian Explosion is by no means the only “explosion” in the fossil record. One evolutionist concedes that for the origin of fishes, “this is one count in the creationists’ charge that can only evoke in unison from paleontologists a plea of nolo contendere [no contest].” Plant biologists have called the origin of plants an “explosion,” saying, “the … radiation of land (plant) biotas is the terrestrial equivalent of the much-debated Cambrian ‘explosion’ of marine faunas.” "
Why is this a surprise? Adaptive radiations are to be expected, especially when new niches open up. Many, if not most, of those radiations occurred after mass extinction events, which open up numerous niches. These radiations occurring rapidly should not surprise us. The claims of no gradational intermediates is not correct. What we find at the diversification events is that the fossils found are difficult to classify with ease (the whole Ida fiasco is testament to that) which is exactly what we should expect from evolution. 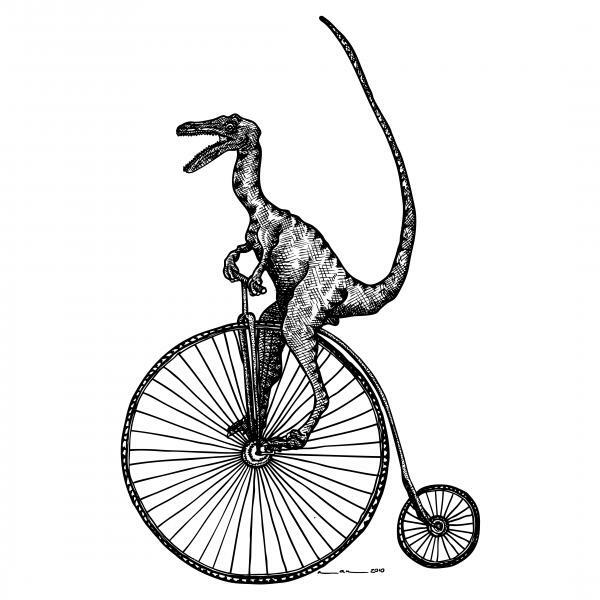 You quote a few palaeontologists, many as out of date statements, others worth addressing. Take Gould and Eldredge for example, as they can also both be quoted as stating that gradualistic evolution is observable in the fossil record (albeit uncommon due to major change occurring around speciation events in isolated populations) and can both be quoted declaring that there are some superb transitional forms that are widely known (see Hooking Leviathan By Its Past by Gould for example). Since Darwin, his dilemma has been cleared up in many ways, but it does still remain a puzzle. It is not a puzzle which causes problems for evolution, but simply one which will prove difficult to explain accurately (so many factors are in play, such as environment, biotic interactions, changes in taphonomic processes, genetic changes and so on). I resisted temptation to make this even longer by throwing in a few references, quotations and links. I was also tempted to discuss a couple of aspects of my dissertation which were applicable, but decided not to. I will try to get back to my posts on flood geology, as it appears I have a challenger (who so far has made an unsupported claim and nothing more). It is no secret that I believe Christians should accept evolution and that it would be beneficial to their faith and the church. Would that mean teaching evolution in churches? Not necessarily. It might be necessary to teach that evolution is not an enemy, that it is compatible with faith, and maybe how it can be reconciled with Christian beliefs, but teaching what it is should not be necessary (though extra seminars could be beneficial). For a non-scientist preacher or theologian, that approach might seem risky. If we seemingly dogmatically hold to one creation belief and it turns out to be wrong, then it could cause harm (naturally I believe evolution is correct, but I'm not a non-scientist preacher). Another approach is to teach the diversity in creation beliefs. Teach that many different creation views have merit and are acceptable for Christians. Of course, this then runs the risk that some of the fringe views will increase in popularity, with no support from the evidence, until people start proclaiming it dogmatically as the only acceptable belief for Christians. This has already happened. My own church tends to teach that you can accept evolution and the vast majority of senior clergy and theologians explicitly accept it. The Catholic Church tends to teach the same sort of thing, but also presents it in ambiguous language which makes it appear as though the theory of evolution is not well supported. Ideally I would say that this approach is fine, but in reality there is so much doubt from the public about evolution that such vagueness can only make matters worse. It's about time that the clergy were taught just how strong evolution is as a theory. I've decided, now that all coursework is handed in and I only have to focus on exams, that I will start a series of blog posts on geological arguments against a global flood. I'm not going to simply recycle commonly used arguments, though some of them might be well known, as I intend for these to be quite personal. By personal I mean things which I have observed in the field or things which have cropped up repeatedly in my studies. Turbidites are not unknown to creationists who have done a fair bit of research, as they sometimes see them as supporting their own flood position. Turbidites are geological structures which are formed rapidly by turbidity currents, a form of underwater landslides. Sometimes they are easy to recognise, as they often consist of alternating layers of mud and sand, with some distinct structures often on the bottom of the sandstone (sole structures such as flute casts or groove casts). The nice, undisturbed deep sea floor steadily accumulates mud, until it is disturbed by a sudden flow of coarser material which is rapidly deposited on top. The coarser material often drags debris over the mud, creating scoops and scours which are filled by sand. The image below shows some of those sole structures. Sadly not a good picture, as it was hastily taken of the ones I have on top of my freezer (a common depositional environment). What you can see is the bottom of the sandstone, as these grooves were formed in the underlying mud and infilled with sand carried by the turbidity current. I only managed to record data for seven of the beds, as I attempted to measure the eighth only to have the scree below me give way, causing me to tumble several metres on shale and sandstone. I only suffered a couple of cuts, though the log I was drawing was ruined. What I recorded (in my notebook) shows the typical alternation of sandstones with shales found in a turbidite. The sands were obviously deposited quite rapidly and sole structures were common, but the muds are a different matter, especially as many were hemipelagites. The Oxford Dictionary of Earth Sciences defines a hemipelagite as "A deep-sea, muddy sediment formed close to continental margins by the settling of fine particles, in which biogenic material comprises 5–75% of the total volume and more than 40% of the terrigenous material is silt." The muds were not homogeneous, showing changes in deposition, though they did all settle out of suspension slowly, unlike the rapidly deposited sandstones. So what we see is a normally quiescent environmental setting, where muds settle out of suspension slowly, containing biogenic material (likely planktic). This environment was intermittently interrupted by turbidity currents which deposited a large amount of coarser sediment. At this point we could ask some interesting questions, to which I do not know the answers. Does the hemipelagite fauna change through the sequence? Do the turbidites become increasingly proximal or distal? Below you can see this sequence more clearly and can make out the distinct alternation between the two rock types. A global flood may be able to produce turbidite deposits on a small scale, but it would be a stretch, considering the large amount of shale in this deposit in particular. But if you are observant, you might have noticed that there are a lot of beds here and that they are not horizontal. There are hundreds of alternations between slow deposited muds and rapidly deposited sandstones, formed in the deep sea. These were buried deeper and deeper, undergoing the diagenetic processes which turn them into the rock we see today. 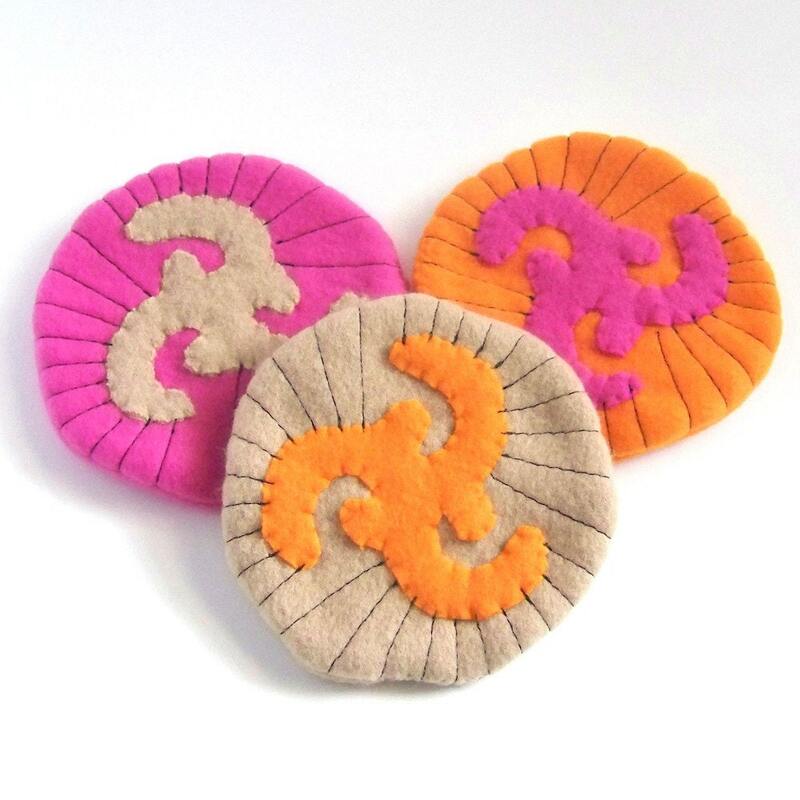 These were later thrust up to ground level in mid-Wales and tilted eighty degrees. These are not rapid processes, but exceptionally slow. If a global flood explains the turbidites, then what explains the processes of uplift and tilting which followed their deposition? If the flood explains the later tectonic processes, how are the depositional events explained? This is not small scale stuff, just look at the picture below. Tens of metres were exposed in this small part of the quarry (if not hundreds). It is easy to think of the quarry as an isolated occurrence, but context is always key. These deposits extend for tens of kilometres through the Welsh countryside. There were literally thousands (if not millions) of alternating depositional conditions, between slow mud deposition and rapid sand deposition, going on in that region of the deep sea. These many thousands of turbidites were slowly thrust up into the Welsh countryside and tilted. As they are at eighty degrees, one can follow them along in the direction of the bedding, using the law of superposition, and follow the beds into younger or older strata (to the right in the images for younger strata) and again, changes in environment are found. Simply learning about something like turbidites is not always enough, actually seeing them in the field shows just how much was going on in our deep past. These deposits are not unique and turbidites also come in a wide variety of forms. Although I believe turbidite deposits, especially those in Penstrowed Quarry, are strong evidence that a global flood cannot explain the rock record, they should still not be taken in isolation. I will be presenting other arguments against the global flood, which, when taken with evidence such as turbidites, makes one wonder how anyone with any geological knowledge could take flood geology seriously. Stay tuned for more. Google often does some pretty cool tributes, some of which are highly interactive, some are simply good to look at. Today they are celebrating the 374th birthday of Nicolas Steno, pioneer geologist, palaeontologist, stratigrapher and anatomist (even mineralogist, but let's not go there) before everyone else jumped on those bandwagons. Not the first to recognise fossil shark teeth as having biological origins, he did lend weight to the idea and correctly thought that they could change composition without losing their distinct shape. He was particularly dedicated to trying to work out how solid objects such as teeth could have ended up in other solid objects like rocks. As this was the 1660s he was really breaking new ground. His contributions to stratigraphy remain strong. He is credited with formulating the law of superposition, the principle of original horizontality, the principle of lateral continuity, the principle of cross-cutting relationships and even appears to have been aware of faunal succession, all of which are still used in modern stratigraphy (though admittedly expanded upon to an extent). Although most well known for his geological contributions, he also became a Catholic bishop, involved in the Counter-Reformation, and was even beatified by John Paul II in 1987. So get on to Google and learn about the man who has paved the way for all of modern geology. Letting the Bible lead science? I've posted a picture before which showed the ancient Hebrew understanding of the cosmos, see here. It is a useful image because it shows how a literalist should see creation if they base it on Genesis, yet few, if any, creationists see the world that way. If we turn to the Bible to dictate science, then these are the views of the world we get. Many creationists claim that the Bible does determine what is true science and also claim that the Scriptures got many things right which we are only just figuring out through science. If they were to do this properly, then the following image would be their world-view. This image is found on the outer panels of the triptych The Garden of Earthly Delights by 15th century painter Hieronymus Bosch. An artist I am fond of, Bosch is well known for his often grotesque depictions, such as the image of Hell on the same piece of art. 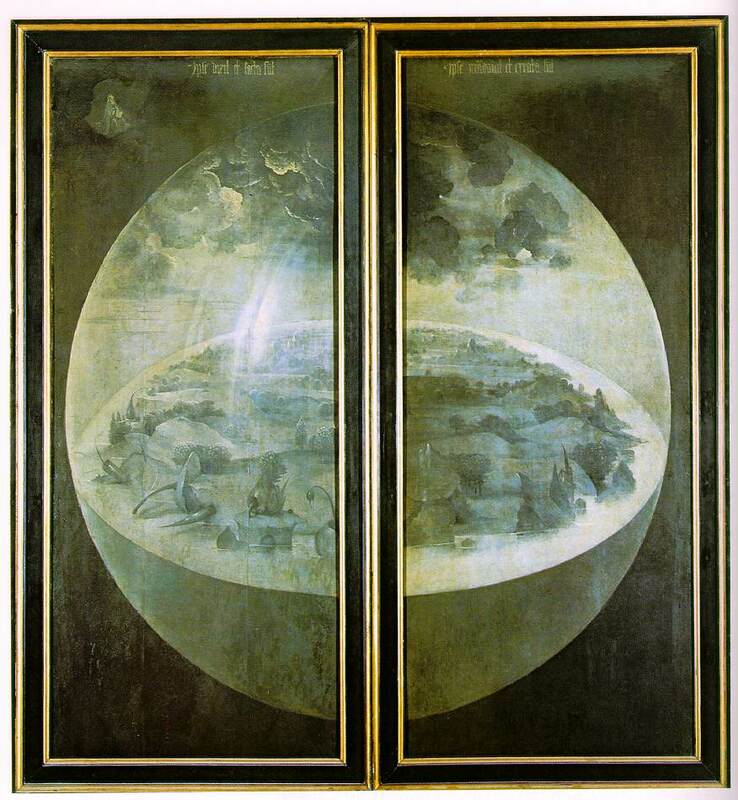 The outer panels, however, show the third day of creation, and it is clear that this understanding of the world does not match our modern understanding. This is how a creationist should view creation, yet they dishonestly do not. 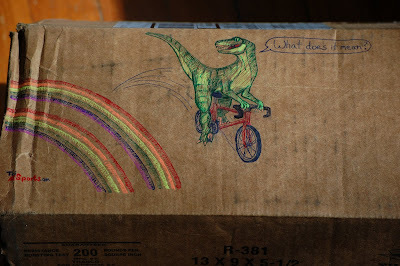 I am by no means a palaeoartist, but I did draw this the other day, for a friend. 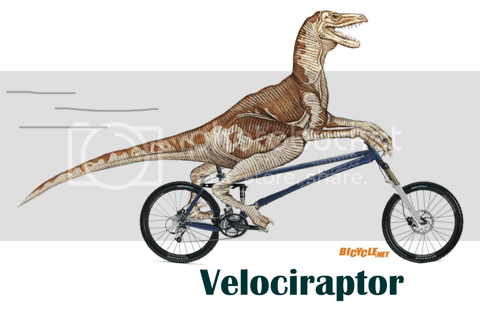 I'm not capable of looking at dinosaur skeletons and reconstructing them, so I simply look at artwork from dinosaur books and modify it a little. I've been a bit ill the last few days, some flu type thing, so I wouldn't mind having somebody or something to cuddle. I have nothing here. 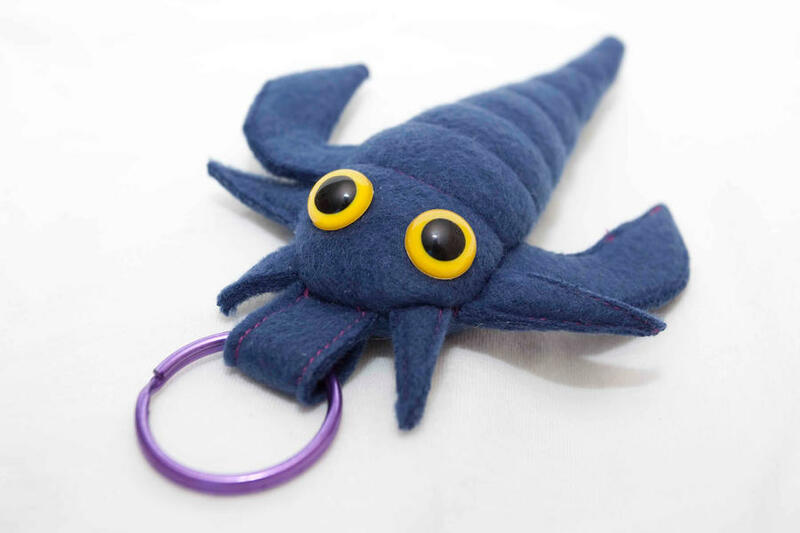 I'm also a big kid and still love toys, so here are some palaeo themed toys and cuddly stuff I would love to have. 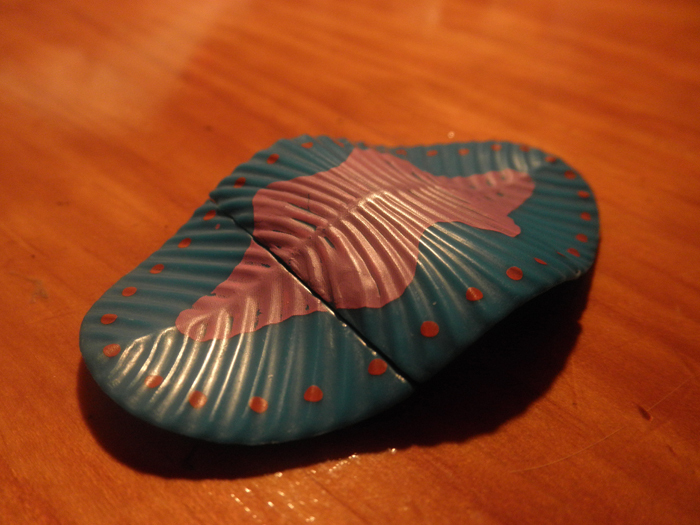 This is a Yowie toy, whatever one of those is (something to do with Cadburys). 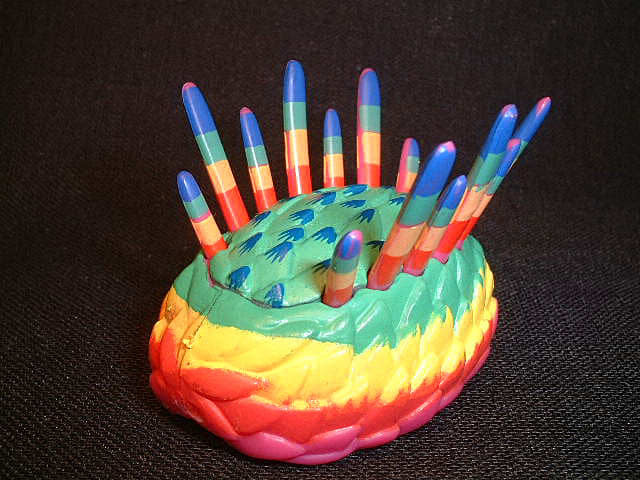 They released a Dickinsonia model as part of their Lost Kingdoms range. I want one, even though it is labelled as a 'Giant Disc Jelly' and is clearly meant to be some sort of worm or jellyfish (some crown group) and seems to have the wrong symmetry (many Ediacarans have glide symmetry). Interesting choice of colours too. I never expected to see such a toy, so I want it. 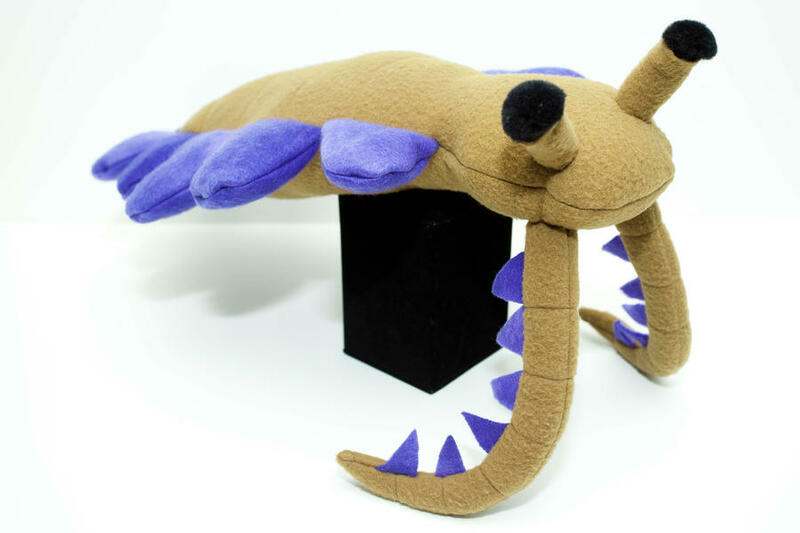 There's also the fearsome Cambrian predator Anomalocaris, though it looks very cute and cuddly here. Again, I want one! 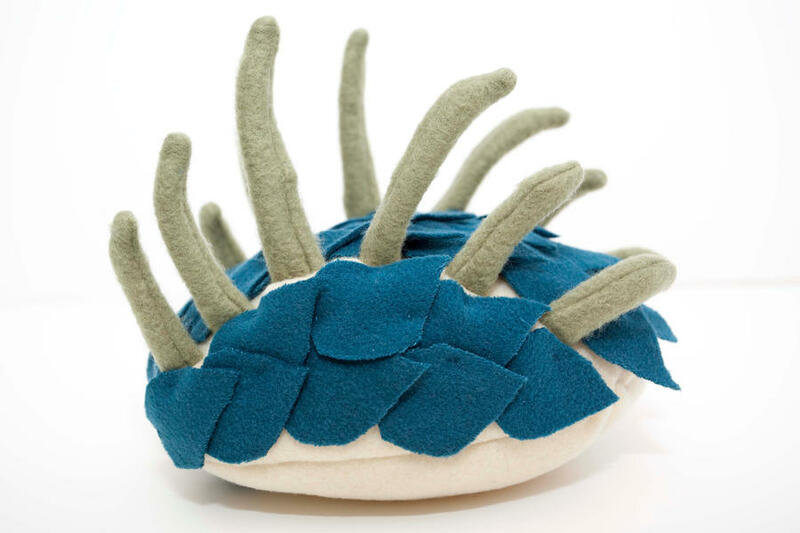 This next bunch I actually came across a while ago whilst researching nudibranchs (sea slugs) as Weird Bug Lady makes cuddly nudibranchs, such as the one below, as well as many cuddly extinct organisms too. I'd post more, but I can't work out how to post the images instead of links. I'd never seen this image before, until today. It is by Gerald Scarfe, the artist known for the album artwork of The Wall by Pink Floyd. In case you can't tell, it is Margaret Thatcher. 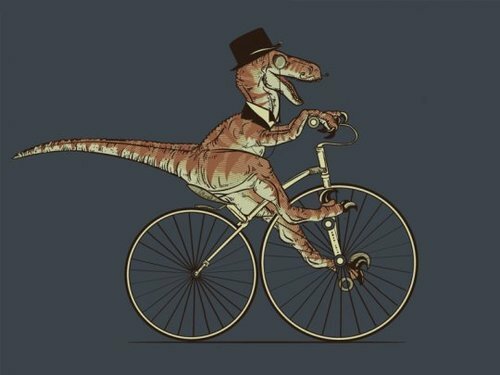 Thanks to this image, he has just had a pterosaur named after him, Cuspicephalus scarfi, the paper describing it is currently in press. The thoughts of a student on evolution, palaeontology, creationism and Christianity with occasional randomness and short stories.